Moscow (AFP) - A group of journalists on a tour organised by human rights activists in Chechnya was attacked by masked men on Wednesday, activists said, with their minibus burned and two reporters hospitalised. 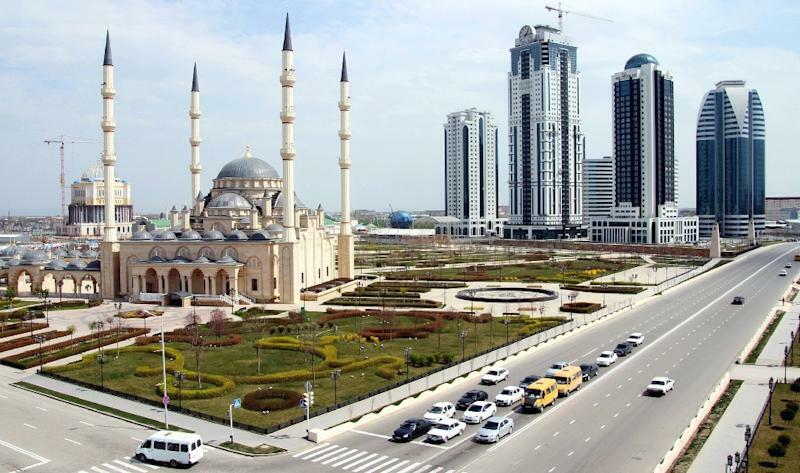 Nine people, including five journalists, were en route to Grozny, the main city in Chechnya, when their bus was cut off by several cars, according to the Committee to Prevent Torture which oversees a group of rights activists in Chechnya called the Joint Mobile Group. "Men in masks pulled journalists and employees outside and beat them. They burned the bus," the group said on its Facebook page. "Journalists from Norway and Sweden, our lawyer and the bus driver were hospitalised with injuries," it added. The rest of the group were testifying to Ingushetia policemen. A lawyer for the Committee to Prevent Torture (formerly known as the Committee Against Torture) Dmitry Utukin, told AFP that the incident happened in Ingushetiya, close to the border with Chechnya, but was likely orchestrated by Chechens. "This would not be in the interest of the Ingushetiya side, this would be in the interest of the Chechen side," he told AFP, since Chechnya has paid "a lot of attention" to the work of the committee and journalists operating on its territory. "They have watched the group from the moment the journalists arrived," he said of the unofficial press tour organised to take reporters to victims of human rights abuses and relatives of kidnapped people. He said it was the first press tour that was not organised by Chechen government and focused on the dark sides of the region where strongman leader Ramzan Kadyrov has little tolerance for any dissent. Last year the Joint Mobile Group's office in Grozny was destroyed by masked men after it criticised Kadyrov's policy to burn down houses belonging to relatives of suspected Islamists. Kadyrov is accused by rights activists and political opposition of running the region as his personal fiefdom with a private army, with wide use of kidnapping and torture and little oversight from Moscow. This year he issued threats against Kremlin critics and independent journalists, calling them "a gang of jackals" and offering to put them in an asylum.